Local transportation is not a problem compared to many states especially if you look at other Central Asia countries, which have more tourists. It is also not very expensive. And it is cool to travel with local people, a good opportunity to learn as to get acquainted with them. The only difficulty is mostly to obtain an accurate and reliable information about the transport facilities: time, stations, destinations, prices. This information should be disclosed on the web site suggested in §7, below. Policemen are very helpful with foreigners. They are educated. They are reliable. They are trustable and friendly. They speak English. Every time I saw policemen I went to say hello to them and to introduce myself. I also visited them in police stations. They invited me for tea, coffee or even meals. I don't think any other Central Asia Police can compete with them. This is a true asset. Hunza valley is very different from other parts of Pakistan I have seen like Islamabad, Rawalpindi, Lahore, Kaghan Valley, Galyat range... The other regions are, of course, interesting. However, Hunza is not crowdy. It is quiet. It is clean. It is safe. It is not noisy. It is gorgeous. Communication is easier with everybody because people are more educated and, then, more expecting interactions with foreign guests than in other parts of the country. Parents and children do not demand you anything like in many other tourist places of the world. They respect you. If they ask you questions, it is just to learn from you. Like their parents, children invite you to drink tea in their home. They offer you fruits from their garden. They enjoy guiding you, just for the pleasure to spend time with visitors. They invite you to their school, and their teachers encourage them doing so. 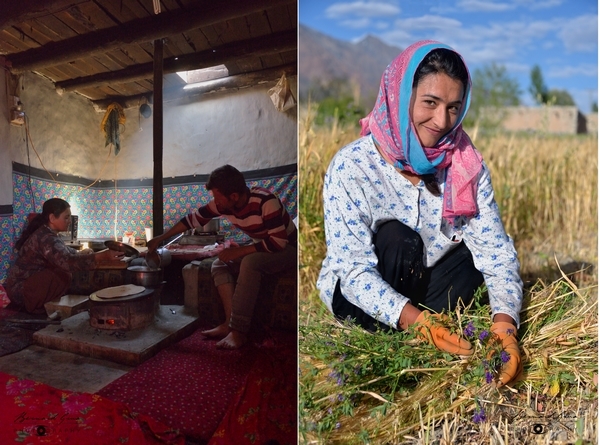 Most of the Hunza Valley people are Ismailians like in Tajik and Afghan Pamir. It is a peaceful religion free of any extremist movements. For numerous reasons, not only the money one, it seems that local people prefer foreign visitors to domestic tourists. Abroad, foreigners may have heard about the Karakoram Highway and the giant mountains of Hunza valley. However, they are not aware of how this place is different from the Pakistan they believe to know. Hunza Valley unique identity should be internationally promoted as, forgive the expression,an "original brand". In this video, Liaqat Hussain Shahab from "Old Hunza Inn" (Karimabad) shares his vision and questions about tourism in Hunza. He also get some interesting answers from a tourist, a German young lady. This discussion contributed to raise some considerations presented in this article. Garbage is a big issue in Pakistan, and in many other countries. Till now, Hunza Valley is, almost, preserved. However, it can change very fast as experienced in Tunisia, where it becomes a dramatic issue, including in former stunning tourist areas. In Hunza valley, I observed, not only from Punjabi tourists but also from local people, some irresponsible behaviours. With the growing number of purchases from outside the valley, packed according to ugly today anti environment standards, it can become a serious concern. Areas and containers for trash should be organised and indicated. Keeping the Hunza Valley clean should be part of the education, at school. Some collective cleaning actions could be organised with children to make them more sensible to this issue. Keeping Hunza Valley clean will help to make it attractive. Enjoying beauty is an aim of people travelling in Hunza valley. It is of importance to not lose this advantage. The beauty of this land is also based on the consistent and harmonious vision Hunza Valley offers. The traditional architecture with its balanced volumes and its natural materials is one of the major part of the vision. With the communication improvements (i.e. roads, trucks...), concrete, metal roofs, metal gates, metal curtains, advertising posters, plastic equipments, bright and non-natural colours are gaining more and more importance. Proportion and design of the buildings are changing. All of this can spoil the entire vision of villages and of the landscape very fast (see some Punjabi cities or villages, see Naran or even Aliabad, in Hunza valley). It is not too late to launch a general reflection with local communities and to adopt a responsible policy. 6. The promising but ignored "eco-heritage"
In connection with the rural traditional architecture mentioned above, a diligent attention should be brought to the heritage which is not limited to Baltit Fort, Altit Fort and Ganish old town. Buildings, traditional tools, rock walls, old trails, water irrigation systems, "know-how", fields like gardens, polo grounds are still in function today. However, they may disappear if no specific attention is brought to them, while processes, equipements and way of life are changing. 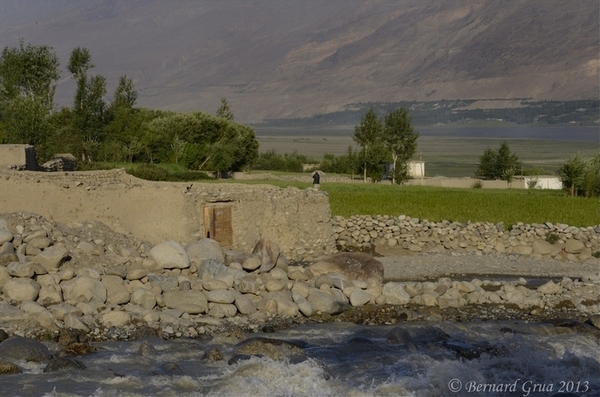 For example, the water mill of Zoodkhun, Chapursan Valley, was used until two or three years ago. It can still work. Until when? The "eco-heritage" should be inventoried, described, photographed, maintained, located on maps, and presented in tourist medias as on the web-site suggested below, §7. Hunza valley needs some communication but its tourism should be oriented towards the local inhabitants and should not just promote big companies, big hotels or any globalised equipment. This tourism should not make Karimabad looking like Naran... or like a western tourist resort, where everything is artificial. Then, in my opinion, its tourism should be promoted by Hunza not by an office of the Pakistani capital city. Moreover, Hunza Valley should be promoted as a specific entity and due to its difference should not be confused, from abroad, with the rest of Pakistan. The Hunza Valley difference should be emphasized. Visa is a true burden. It depends on each consulate in different countries. It even depends on the lunatic attitude of the clerk in charge of visa delivery, like in Paris. Knowing what should be written in an LOI (Letter of Invitation), and who can deliver it, is already a problem. Moreover, the whole visa process is an expensive compulsory step. If you don't live in the capital city of your country, then it adds some extra costs and uncertainties. Despite all these uncertainties, travellers must buy their air plane ticket before applying for a Pakistani Visa. If the visa is refused, then the ticket value and all the visa expenses are lost. It is, then, reasonnable for numerous foreign visitors to consider another destination. See Paris Pakistani consulate requirements for a visa. It is much easier to get visas for Uzbekistan, Kyrgyzstan and Tajikistan. Even the Afghan visa (if you apply in Khorog, Tajikistan) is easier to obtain than the Pakistani one. For me, only the Russian visa was a bigger nightmare than the Pakistani one. Pakistani visa should be a more understandable and a more standard procedure. It is a significant part of the travel budget for Pakistan. This money could be better used in the country and for its population. Connected with visa issue is the NOC (Non Objection Certificate) one. Foreigners are not aware about where the NOC is required, where they can get the NOC, what they need to prepare to apply for the NOC. Advices on western Ministry Of Foreign Affairs (MFA) websites are a major issue. They discourage visiting Pakistan. It should be cleared at Pakistani government level, talking with EU, USA etc... May be these countries expect some rules to be implemented to give a clean opinion? So much is already done. Probably, there are not a lot more efforts to do. But let's address them. I think, tourists should be able to access the Afghan Wakhan corridor from Hunza Valley. It will open a lot of opportunities for local populations especially for Wakhi people speaking the same language in upper Hunza (Pakistan) and along the upper Panj River (Afghanistan and Tajikistan). It will, for sure, attract new travellers. This demand exists as I could observe on forum discussions. Moreover, inhabitants of Chapursan (Pakistan) and Bozai Gumbaz (Afghanistan) own the yaks making possible, for foreign travellers, to cross the Irshad Pass (4,977 m) between the two countries. It would supplement their income and give them new reasons to stay on the mountainous land of their fathers instead of choosing an exodus to a Southern megalopolis. Last but not least, may be I am dreaming, but I really think Pakistan and India should cool down about Kashmir. 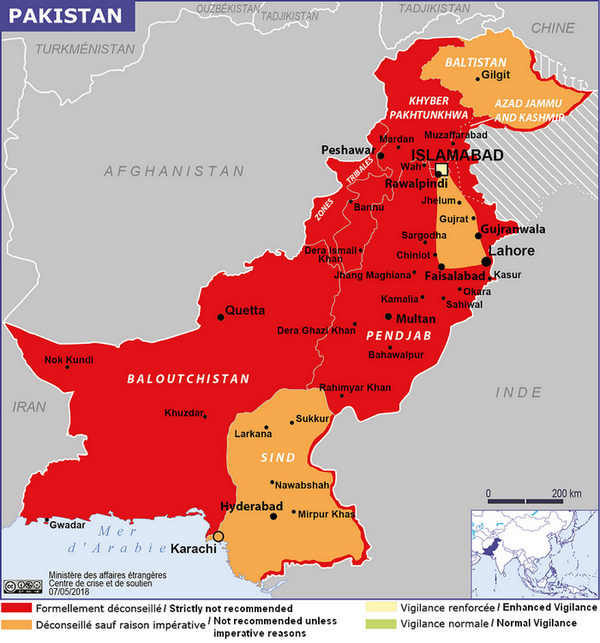 The current situation cuts the Pakistani northern territories and the Indian northern territories from mutual synergies which would, here too, benefit to the local communities of both countries. I know, it would be difficult. I agree that I am not aware of the Indian vision of the problem. However, I observed that the anti-Indian speech is the major part of the Pakistani national identity building. It might be a revolution to address this issue and to think about a national project uniting Pakistan based on a positive endeavour instead of an "against" rhetoric. Though, it may also challenge the power of numerous people who take advantage of this antagonism, when they are not provoking it. 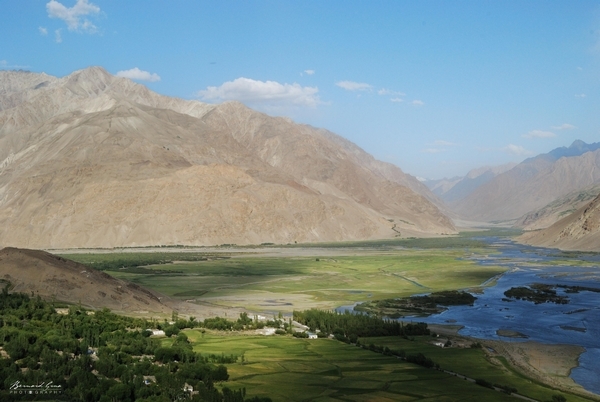 See also, eco tourism in Tajik Pamir: "Tusion, the hidden gem of Pamir"